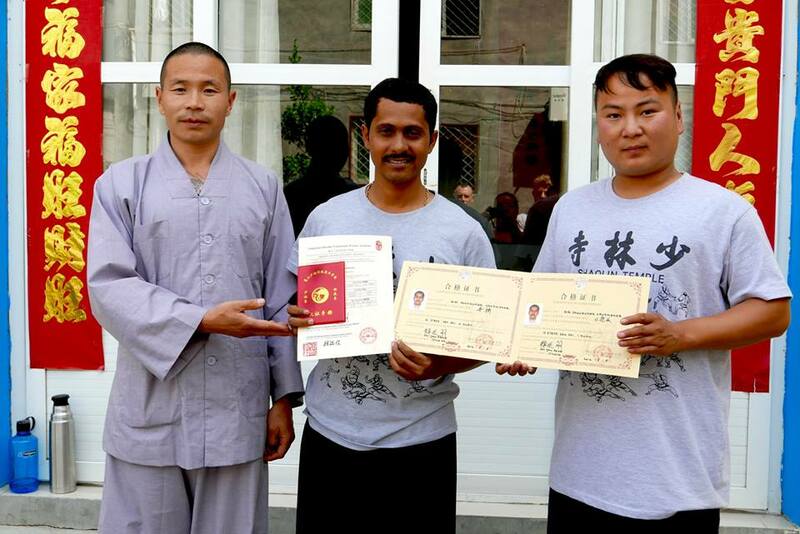 "Now Wing Chun Available in India, Mumbai or Nearby You, Learn Ip man Wing Chun As It Is! Through Sifu Dr. Sonu Kumar Giri"
Actually wing Chun is the best martial art in the world because it’s a scientific martial art, also logical and easy to learn as well as apply. The basically wing Chun form is designed for self defense. The main benefits is not only self defense, but also focused mind, body control, balance, posture, alignment and most important it's provide better health to us. Wing Chun always played a significant role to be healthy in our life, i.e. keep fit and healthy, free from diseases, boost mental and physical power, provide a logical and effective method of self-deference. Wing Chun give us perfect coordination of mind and body, It is purely a physical and spiritual practice. Actually, its path of self-realization of energy. Meditation is a practice of focusing our mind on a single thought or object so that no other thought or view point should arise. At a higher level, this is the cessation of all the thoughts. Wing Chun is more than a system of self defense or intellectual ideology, Its a complete practical close combat fighting system. It's more about spiritual martial art with strong emphasis on conceptual based scientific movement and structure. The first form, “Siu Lim Tao”, (meaning little idea or small thought) is the seed from which the whole system will grow. Chum Kiu is teaching us how to bridging the gap and Biu Jee is teaching us shooting finger as well as power of speed and better coordination of energy and power. It is a one of the important tools in wing chun system, Wooden dummy training forms a genuine part of the Wing Chun kung fu system. In the Wing Chun system have consideration of two weapons form first is the long pole and second is the butterfly knives. 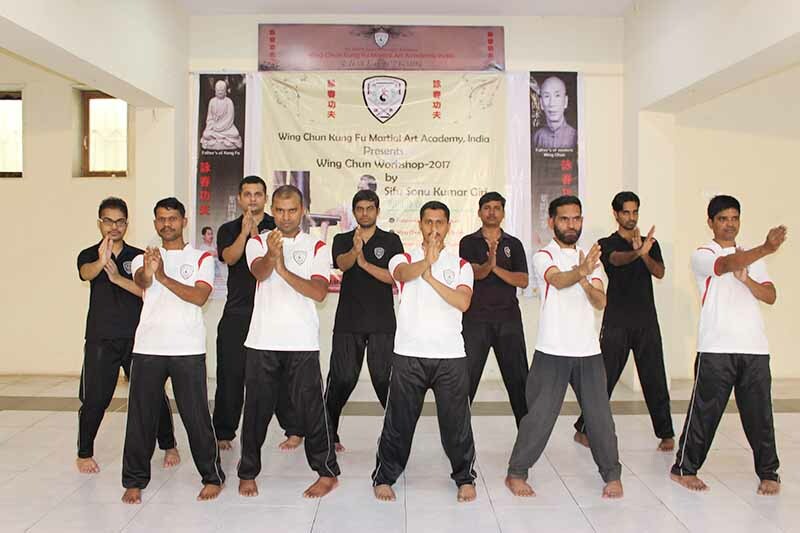 Wing Chun Kung Fu Academy is one of the most authentic Academy in India, I have learnt various wing chun forms & it’s techniques as well as application. One of the best Wing Chun Institute in India, wonderful experience with Sifu Dr. Sonu Kumar Giri, I achieved many medals in championship, Finally Grate! I am Ex. Service man Indian army, one day I visited Sifu Dr. Sonu's wing chun school, I impressed with his training system, Really I like wing chun, It’s best! Practicing wing chun in Mumbai under guidance of Sifu Sonu Kumar Giri, Happy to join this Institute, Nice place to learn Authentic Ip Man Wing Chun. Expert & knowledgeable Wing Chun Kung Fu Masters. True value for money as well as time, This is most important his wing Chun’s technique is effective. Maharashtra state kung fu championship’s date had been announced, It’s on 18 Aug 2019, players be ready. Best of luck. Yoga seminar conducted by Mr. Suresh Jaiswar in svp, dahisar east, mumbai, seminar regarding yoga, pranayama & Its benefits..
We are pleased to announce that Sifu Dr. Sonu kumar Giri will to conduct a two-day Sports Wing Chun seminar.